- Thickness:10, 12, 20, 30 mm etc. With a firm commitment to quality, our organization is involved in providing Red Sandstone Pavers Tiles. - This is a very popular color which is used in all Indian historical monuments, we called Agra red sandstone also. - It is also available in all sizes and all finished like handcut, natural machine cut or calibrated. 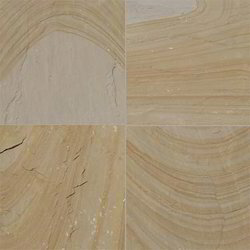 We are engaged in providing a wide range of Jodhpur Sandstone Tile to our clients. 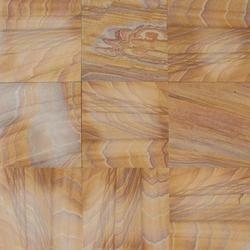 We are indulged in offering the finest quality Sand Stones Tile. Enriched with vast industrial experience, we are involved in offering a designer collection of Mint Sand Stone Mosaic Butch. These tiles are extensively recommended by various numbers of clients owing to its uniqueness, elegance and designer appearance. Our tiles are available with us in all standard sizes, designs and styles.